Josia Thugwane became South Africa’s first black gold medalist 20 years ago at the 1996 Atlanta Games, stunningly winning the marathon five months after being shot in the face during a carjacking. Last August, The Undefeated went to South Africa to chronicle whether his improbable achievement still resonated there. A year later, Thugwane will not be in Rio de Janeiro for the 2016 Summer Olympics. He plans to watch the marathon, traditionally held on of the last day of the Olympics, from his living room couch. He was supposed to do a local radio show Thursday, but he says usually his cellphone is silent. 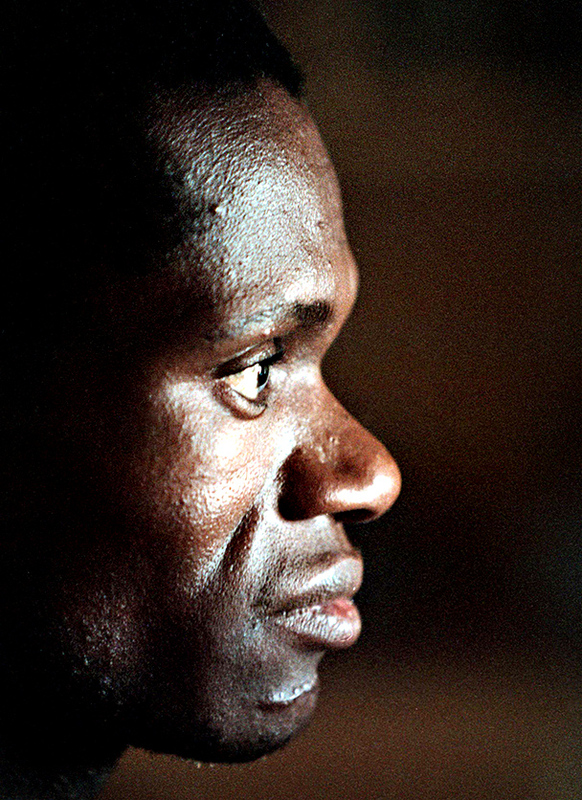 South African athlete Josia Thugwane on Aug. 8, 1996. The picture in an aging, tan-brick farmhouse at the end of a long, dusty road on the savannah distills the essence of a national hero. In it, the man raises his arms toward the heavens, his index finger and thumb appearing to make the victory sign. It is 1996. He is standing in the middle of several thousand black children in Coca-Cola T-shirts and ball caps, some with their mouths agape cheering, others looking stoically into the lens. Nineteen years later, Josia Thugwane looks at the photo, competing for space on his living room wall with a mural of himself and Nelson Mandela. He still doesn’t know whether he affected lives that day. The Coke endorsement deal ended more than a decade ago. No one from the athletic federation has called to ask the famous Olympian to speak to kids, make an appearance or mentor a promising runner in years, much less attend any upcoming 20th anniversary function. Instead, like many days with family, he will help Zodwa, his wife of almost 20 years, serve plates of white rice, lightly fried chicken and thick, brown gravy. Then he will channel-surf among the news, South African soap operas and soccer. Before dusk, he will tend the cows. If a man is a national hero, but his own country doesn’t remember him, is he really a national hero? Did his life mean more than one touch-the-gods moment? Thugwane “reinforced our pride and confidence as a nation,” Mandela said then. Almost 20 years later, he sits quietly in the living room of his single-story rambler on a 75-acre plot of land in the Gauteng province, uncertain of what constitutes a memorable life.